Something I seem to struggle with every year is keeping up with new releases! I love seeing people get excited about a book coming out and always plan to read it the moment it hits the shelves, but this rarely happens. I usually buy the book regardless and then it gathers dust for a couple of years before I actually pick it up. However, I would love to change that this year! There are many highly anticipated book releases, as well as lesser-known yet equally interesting titles, lined up for 2019. I want to challenge myself to read at least three of these so that I can participate in the hype and conversation that will likely surround them. One 2019 release that I am almost certain I will read is Children of Virtue and Vengeance by Tomi Adeyemi, the second book in the Legacy of Orïsha series. The first book, Children of Blood and Bone, was one of my favourite books of 2018 and I expect that the sequel will be just as fantastic! The YA genre is filled to the brim with series! A few key authors that contribute to this include Cassandra Clare, Sarah J. Maas, and Pittacus Lore. The length of many of these series usually makes them quite a daunting task for me to get through despite how much I enjoy reading them. This often results in me falling behind and having to watch everyone else revel in the joy of the next book being released while I’m just getting into the series. This year, I want to try and finish reading three series that I’ve started but have neglected ever since. Whether the series is complete or incomplete does not matter – the goal is to be caught up on all the books that have been released thus far in that series. I not only want to get up to date with a few series but to also want to visit some old favourites in between newer reads this year. This will be the hardest goal for me to achieve because I might get bored of trudging through the series, but I am up for the challenge! My last reading goal for the year is to read a total of 30 books. Last year, I was quite ambitious when I set a goal of reading 50 books and was only able to read half of that amount. 2018 was my first year out of university and I wanted to try and catch up on all of the reading I missed out on over the previous four years. However, looking back, I realize it was a bit too enthusiastic since the most I have read in a year thus far has been 27 books. In 2019, I want to challenge myself whilst simultaneously making this a more relaxed goal. There is so much I want to do this year and I don’t want to make achieving this goal feel like a chore. Instead, I want to push myself in my reading whilst also having fun. It’s not about making reading a competition – I just want to have a great time! I want to make 2019 my best year yet in all aspects of my life, my reading included! 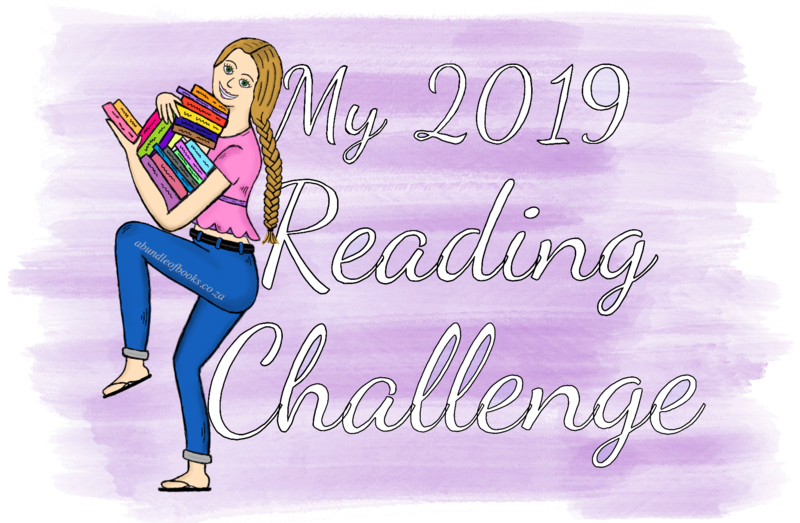 I think it’s great to set a reading challenge to have a bit of fun with my reading journey throughout the year, so I hope that this inspires you to create one of your own! I’ll be keeping track of my progress here so make sure to check in once in a while to see how I’m doing (and maybe give some words of encouragement, too!). May 2019 be an amazing year for you in every way! I just know that this will be a great year, I can feel it!